Call centers are places where telephone operators (or call center agents) field incoming calls and/or make outgoing calls to customers and sales leads. But there are several types of call centers. Also known as home call centers, these types of call centers are one-person operations inside someone's home. You may be an employee or an independent contractor. Usually, you will be using your own equipment rather than having it provided to you. You won't have to commute, but you may still be locked into a set schedule. Also be warned that this is an area targeted by work-at-home scams, so you need to research any opportunity well. Learn more about starting a virtual call center. Some call centers only take inbound calls, in other words, the customer is calling you rather than you calling the potential customer. The bad news is, they may be calling only because they have a problem, and they may have been on hold for quite awhile before you talk to them. These call centers tend to focus on customer service, providing assistance to customers who have a problem or who need instructions or taking orders or reservations over the phone. However, sales can still be an important part of an inbound call center agent's job, especially adding on items or upselling. You may have to use a database to look up answers to customer questions and resolve their problems. You may be entering their orders accurately for fulfillment. Some call centers (sometimes called telemarketing centers) make outgoing calls only. You are calling potential customers rather than receiving calls from them. These tend to be sales-oriented operations and are best for people with sales skills. You may be cold calling a list of numbers or following up on leads from people actually interested in the product or service. It's a position where you have to make a lot of calls before you have a sale and where you will face a lot of rejection. It takes a positive attitude and a thick skin at times. Bilingual agents are often needed, especially those who can speak Spanish as well as English, but also for other languages depending on the product and area of service. These jobs typically pay more than the single-language positions. Both full- and part-time positions are available at call centers. Some companies may require full-time commitment while others don't make a commitment to a specific number of hours. Some are more flexible as to which hours you work, while others require a specific, regular shift. Night and weekend coverage is a possibility, as well as seasonal work. 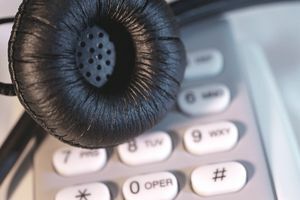 Use these lists to find reputable employers with home call center job opportunities.